Tested this on a Spectrum Bass II and was able to get program change but that’s it. Figuring that the sysex and architecture are probably different. However, I successfully swapped the ic in the bass ii for a spectrum synth ic and it works flawlessly! 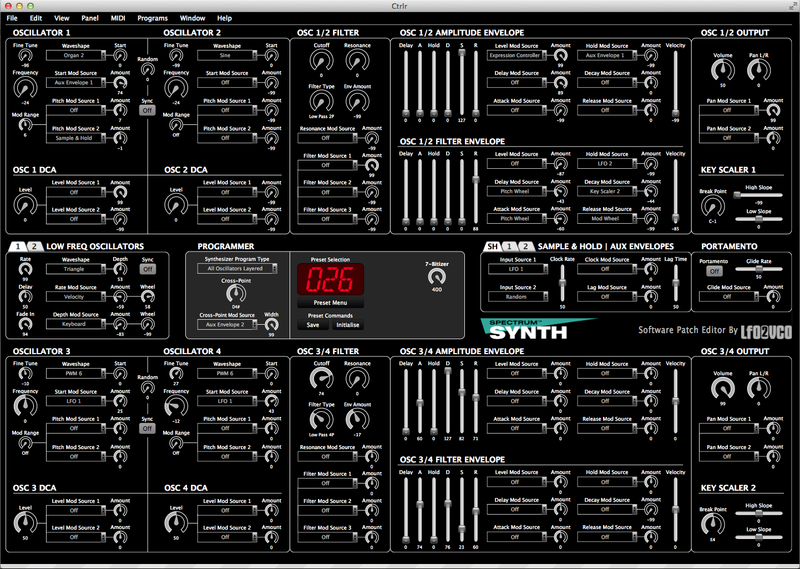 Total sleeper synth! Great modulation options and a decent filter. Thank you for taking the time to make the panel! Get a bass ii cheap while you can! Hey Bandenoire, I’m glad you are finding the panel useful. Great tip about Swapping out the Firmware ICs as other Spectrum devices in the range are more readily available.